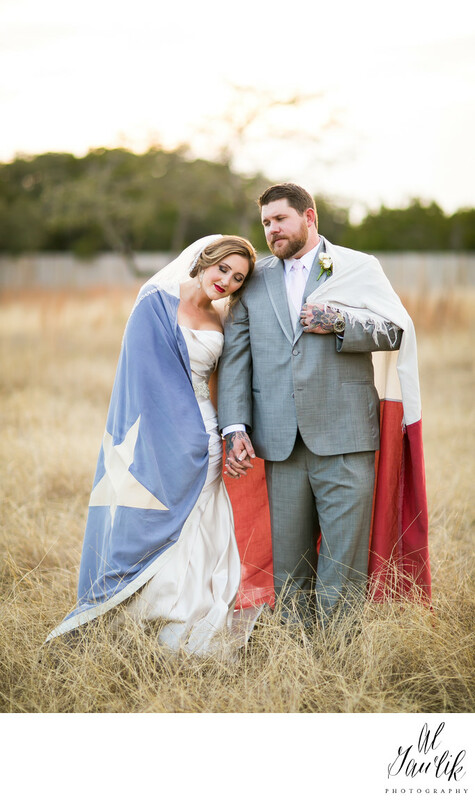 Best Texas Wedding Photography and you know it's Texas because the Texas flag is lovingly wrapped over the shoulders of the newlywed couple. Its a fun, stylish, and timeless image from a beautiful wedding. Location: Heritage House in Dripping Springs, Texas.